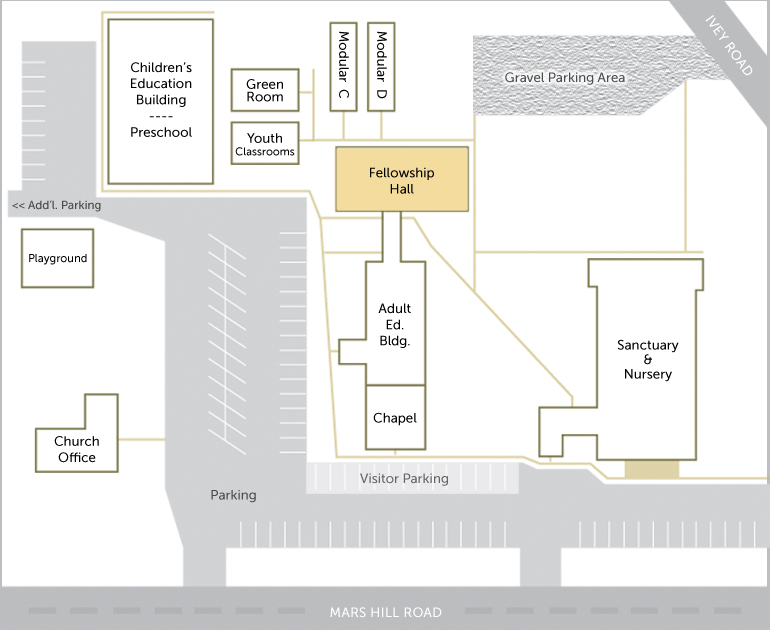 The Fellowship Hall is a common meeting place for many activities at Mars Hill Presbyterian. On Sundays, Coffee Fellowship is held in the Fellowship Hall from 9:50am-10:10am. Visitors and members are all invited for coffee, refreshments and fellowship between the first service and Sunday school classes. The adult Sunday school class "Reel to Real" is held every Sunday in the Fellowship Hall at 10:15am. Men of the Church Bible studies and breakfasts are held in the Fellowship Hall Saturday mornings from 8:00am-9:00am.